With his size, strength and natural ability, Page excelled in multiple sports high school and college. After college, Dallas Page followed his calling to entertain, entering the nightclub business and quickly established himself as one of the south’s leading club owners and promoters. But he still had the pro wrestling “itch.” On a whim, Page sent a tape to the AWA (American Wrestling Alliance), one of the country’s premiere professional wrestling organizations. The AWA promoters immediately offered Page a contract to “manage”—escorting and doing all of the ‘over-the-top’ talking—their top stars. With his long, curly hair, conceited manner and ever present “Diamond Dolls,” “Diamond” Dallas Page was a natural at working crowd into a frenzy and became the man fans loved to hate. Page easily bridged the gap between sports entertainment wrestling and mainstream entertainment, starring in feature films including director Rob Zombie’s, The Devil’s Rejects. 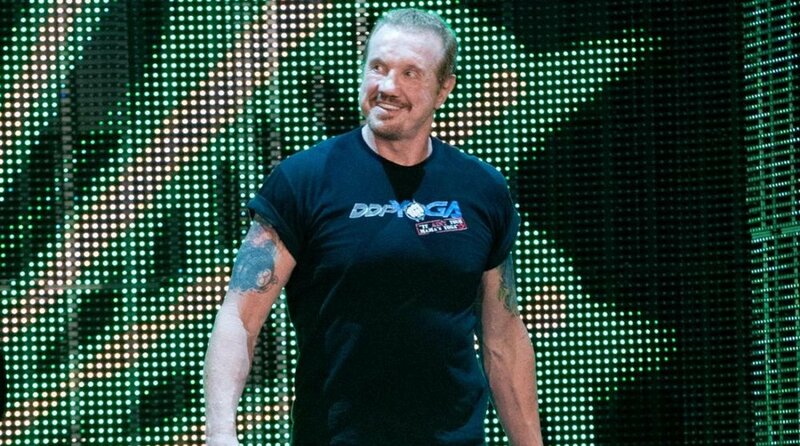 “DDP is a true professional.He is as dedicated in the acting ring as he is in the wrestling ring,” said Zombie. Page’s other film roles include Driftwood, Ready to Rumble, First Daughter, Rat Race, Splinter and Snoop Dogg’s Hood of Horrors. Page’s television credits include The Tonight Show with Jay Leno, Hollywood Squares, The Daily Show with Jon Stewart, Live with Regis and Kathie Lee / Kelly, and The Best Damn Sports Show.